After 2019, Google will require all Android apps to have 64-bit support. Google has just announced that starting from the second half of 2019, its app store will only host 64-bit apps. The goal of this important change is to ensure a higher level of security, stability and performance for Android-based apps. Developers have until August 2019 to prepare. “For apps that use native libraries, 64-bit code typically offers significantly better performance, with additional registers and new instructions,” Google wrote on the Android Developers Blog. It also announced a thorough blog post soon enough, detailing the performance benefits of 64-bit native libraries on Android. Google also said that with this move it is preparing the terrain for future versions of Android that will support only 64-bit apps. In case your app is 32-bit, you will soon be forced to add a 64-bit version as well, be it inside the same APK or a different one. 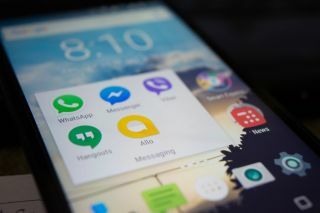 Google also said it will soon start adding security metadata to make sure authorised apps were served through the Play store. “Additionally, in early 2018, Play will start adding a small amount of security metadata on top of each APK to further verify app authenticity. You do not need to take any action for this change,” the company explained. Google isn’t exactly leading the charge here, though. Apple stopped supporting 32-bit apps in iOS 11 back in September 2017.